For more than 30 years, Bill Richardson has led a distinguished public service career as a U.S. Congressman (1982-1996), U. S. Ambassador to the United Nations (1997-1998), and Secretary of Energy under President Bill Clinton (1998-2000). In 2008, he sought the Democratic nomination for President, dropping out after Iowa and New Hampshire. Since entering life as a private citizen in 2011, he has authored three books including How to Sweet-Talk a Shark: Strategies and Stories from a Master Negotiator, which was published in fall 2013. He is active on the national and international speech circuit and appears frequently on numerous television news programs, ranging from CNN to Fox, Univision, Meet the Press, and This Week with George Stephanopoulos. Richardson has also served as a Special Envoy to the Organization of American States (OAS) and as a Special Fellow on Latin America at the James A. Baker III Institute for Public Policy at Rice University. Richardson also sits on several non-profit boards, including the World Resources Institute (WRI), Refugees International, and the National Council for Science and the Environment (NCSE). In addition, he serves on numerous for-profit boards, primarily in the renewable energy space, such as Abengoa International. Before being elected Governor of New Mexico, Richardson was Chairman of Freedom House, a private nonpartisan organization that promotes democracy and human rights worldwide, and served on the boards of the Natural Resource Defense Council and United Way International. He has been an adjunct professor at the John F. Kennedy School of Government at Harvard, and has received several honorary degrees from institutions of higher learning that include Tufts University and the University of New Mexico. As Governor, he taught courses at the University of New Mexico and New Mexico State University. Last fall, he was given the National Hispanic Hero Award by the U.S. Hispanic Leadership Institute. As Governor of New Mexico, Richardson’s bold governing style moved New Mexico forward in several important areas, including clean energy, education, transportation, healthcare, immigration, environmental protection, and $1 billion in tax cuts to New Mexicans. He vastly improved the state’s job numbers and improved economic development by bringing the movie industry to New Mexico, which resulted in more than 140 major film and TV productions. He also built a light-rail system from Albuquerque to Santa Fe, and partnered with Virgin Galactic to build a commercial spaceport. 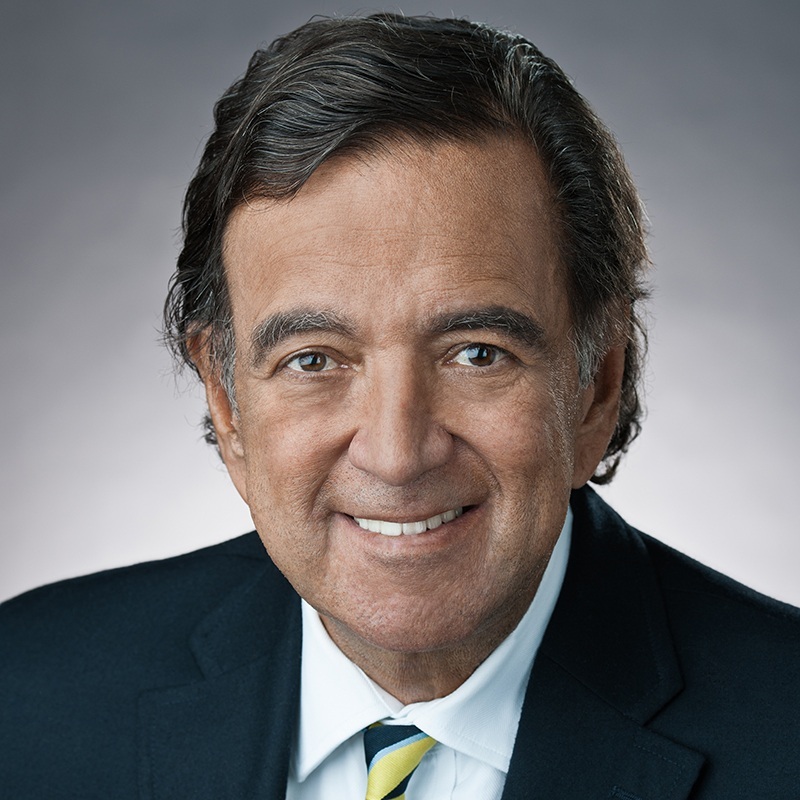 Few can match Bill Richardson’s wide-ranging experience and dedication to protecting and improving human rights, and improving the quality of life for the people of New Mexico, the United States, and the world. Richardson has been married to his high-school sweetheart, Barbara, for 43 years. He received a BA from Tufts in 1970 and an MA from Tuft’s Fletcher School of Law & Diplomacy in 1971.